strathmore – One of the core beliefs of Boys & Girls Clubs of the Sequoias (BGCS) is to, “Provide a safe place to learn and grow.” Thanks to a generous $3,900 grant from the Home Depot Foundation, the organization was able to make needed improvements to its Strathmore club. On April 21-22, 40 volunteers from Home Depot, BGCS and County Fire Station 16 came together to make renovations to the organizations newest club in Strathmore. Volunteers painted the exterior of the fellowship hall and interior of the Club. New fans were installed inside the Club to keep the kids cool during the hot summer months. With the remaining funds new carpet will be installed this week. The BGCS would like to thank both the Lindsay Starbucks for donating drinks and Hoagies Heroes of Porterville for providing lunch for the volunteers. Their donations helped to make the work day a memorable one. 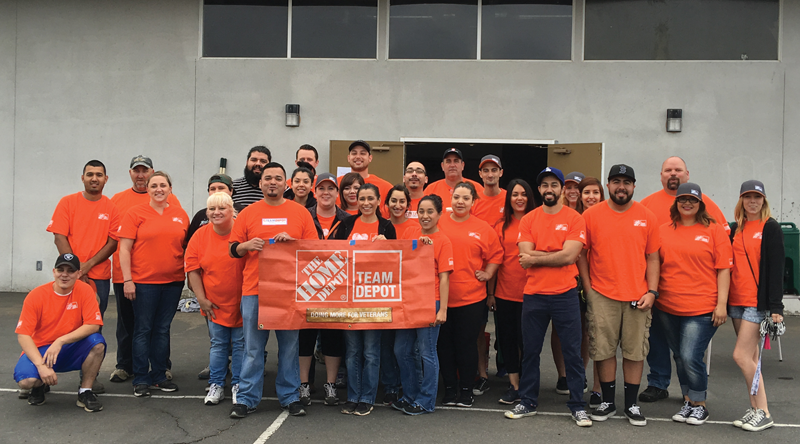 The Club would also like to say a special thanks to Elijah Soto, Manager of the Porterville Home Depot, for coordinating these improvements. Since the first The Home Depot store opened in 1979, giving back has been a core value for the Company and a passion for its associates. Today, The Home Depot, in partnership with The Home Depot Foundation, focuses its philanthropic efforts on improving the homes and lives of U.S. military veterans and their families and aiding communities affected by natural disasters. Through Team Depot, the Company’s associate-led volunteer force, thousands of associates dedicate their time and talents to these efforts in the communities where they live and work. Since 2011, The Home Depot Foundation has invested more than $110 million to provide safe housing to veterans, and along with the help of Team Depot volunteers, has transformed more than 25,000 homes for veterans.